Rumours about the iPhone 5 are flying thick and fast, and probably have been doing so since the day the iPhone 4 went on sale. Apple is notoriously secretive about their new products and designs, which only seems to drive the rumour mill to greater heights of speculation. Tech analysts and journals constantly speculate about the next model. Little is known for sure. 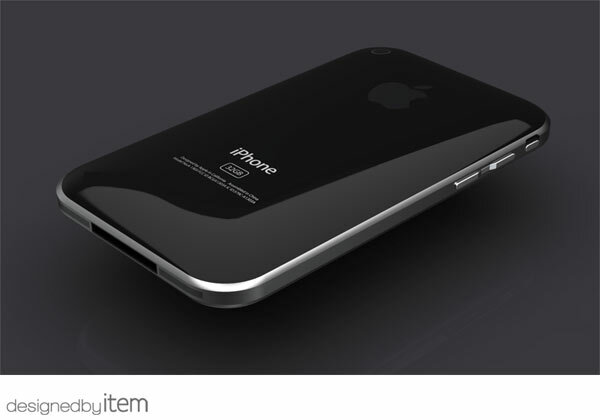 Information from Chinese sources indicates that production for the iPhone 5 may begin on July 6 of this year, which lends credence to the rumour of a possible September release date. A September release makes sense from a marketing standpoint, allowing for a “Back to School” promotional push. It also gives Verizon time to sell the iPhone 4 before the new iPhone reduces their sales. As for hardware, it seems certain that the iPhone 5 will return to an aluminium back, since the glass back released with the iPhone 4 has proved to be problematic for consumers. Experts predict that a 64GB version will be available, as well as 32GB and 16GB. Like the iPad 2, the iPhone 5 will include a dual core A5 processor, and the iPhone 4’s external antenna will probably be replaced with an internal antenna. Insiders have hinted at a slide-out QWERTY keyboard, larger display, longer-lasting battery, and more powerful camera, but it is uncertain whether any of these rumours will prove true. It’s expected that the iPhone 5 will be run by iOS 5. While analysts don’t know what features will be included with the new operating system, the recent iOS 4.3 release might give some clues. iOS 4.3 brings faster web navigation and better Airplay WiFi capabilities, as well as iTunes Home Sharing, which allows music and video to be shared over WiFi between computers and handheld devices like the iPhone, iPad, and iPod touch. The Personal Hotspot feature allows users to create a WiFi spot wherever they are, sharing an iPhone cellular connection with up to five devices. New patents hint at even more exciting developments in the iPhone’s future, such as an innovative shape-changing interface which causes the surface of the display to actually change textures under a user’s touch. These amazing changes, if they’re coming, are no doubt a few years into the future; it took five years of development before Apple released the iPad. Perhaps even more incredible features are yet to come.